I just returned from the most creative early childhood conference I have ever attended! 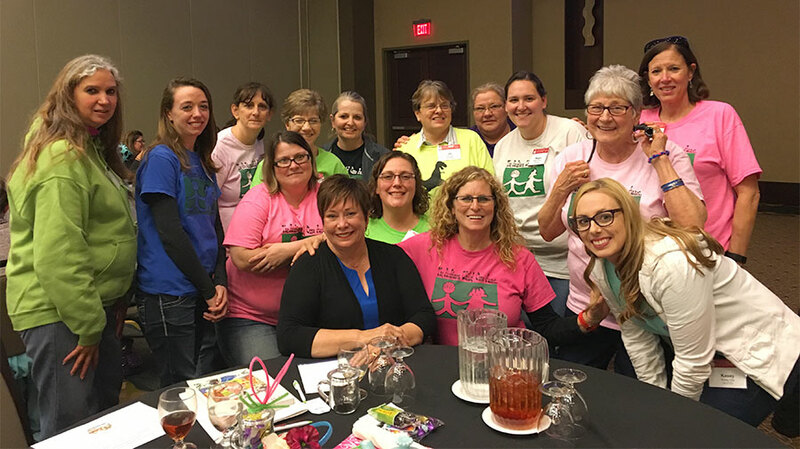 The theme was the brilliant idea of Kasey Kile, who has been leading the conference for the last four year with assistance from her friends at Kansas Child Care Training Opportunities. I did the Keynote for this illustrious group of early childhood educators who listened, responded, and interacted with me as we investigated the power of stories read, told, and sung. The focus of the literature for the day was animal stories that are appealing to young children. This entire experience reminded me again that early childhood teachers are very creative! They displayed their creativity throughout the day as they wore hats they had designed and made for the event. In the afternoon, they participated in hands-on follow up activities that extended the stories we shared, including designing and making costumes to represent some of the animals in the stories we had enjoyed. A special feature was the afternoon “high tea” with yummy treats. The finale was “The Animal Parade” with all of us marching together to celebrate the day, stories, and these marvelous educators. It was a joyful experience for me! When children are using a variety of materials to develop a creative idea, add a novel material that will challenge their thinking in new ways. A piece of foil, tissue paper, or sheet of foam. Be creative!